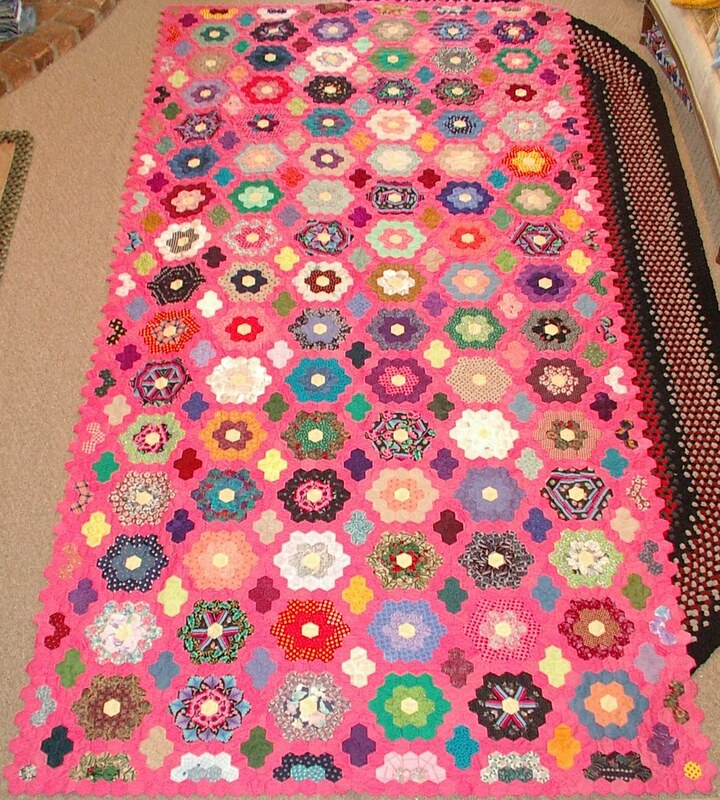 I noticed the other day that I have made a lot of afghans and quilts out of squares. I have only begun to scratch the surface. It is amazing how much room blankets take up, yet there are a ton of them in my house. I think every bed has about five of them on, all year 'round. There are big ones for king size beds, and little ones for the kids to drag around, and everything in between. So today I decided to show some I had made out of yarn. 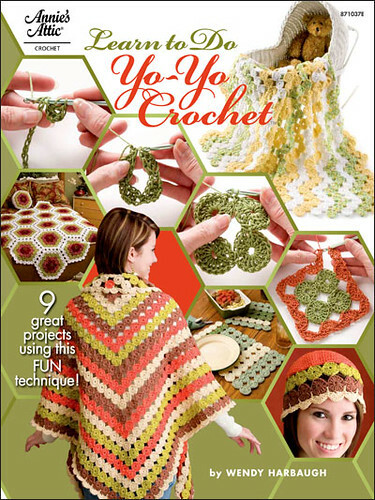 About ten and a half years ago I decided to reteach myself how to crochet. The first thing I did was a very, very large granny square, big enough to fit the king size bed. I'll show that tomorrow because I have to unmake my bed to get it; I think it is the third one down. I call that one the ugly blanket that should never see the light of day, but it works for added warmth. The second blanket, afghan, I made was small granny squares. When I was a little kid my Vavo had one that I just loved to crawl under on Saturday afternoons to watch Sci-fi theater and Kung-fu theater. Don't ask me why, but I watched those every Saturday afternoon as a kid. The sun would come through the window and land right on the couch and I would curl up under a blanket it was just so warm and toasty it was all I could do to stay awake to watch. As soon as the shows ended I would fall asleep for a great nap, loved that. So I made the black afghan to remind me of that. 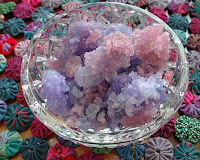 Too bad it is made out of acrylic yarn; the one from my youth was wool. However, when I was relearning to crochet all I could afford was thrift store yarn so that is what I bought except for the black; that was purposely added so it would look like the one from my youth. 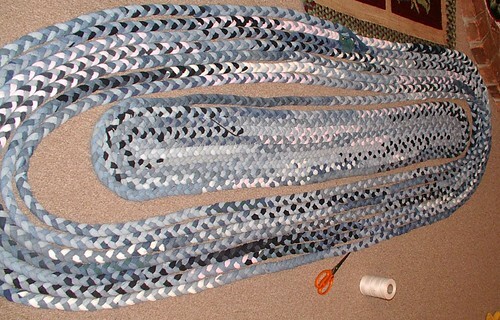 The next one was made on the vintage weave-it rug looms. It was the only loom made by weave-it that had the wood pegs; the rest have metal pegs. The yarn is Aunt Lydia's rug yarn that was purchased at thrift stores; this time not because I had to, but because I wanted to. Every time I found a skein I would make more squares. After a while I had enough squares to make an afghan and this was born. It does have a black crocheted edging to hold the blocks together and around the outside edges, too. 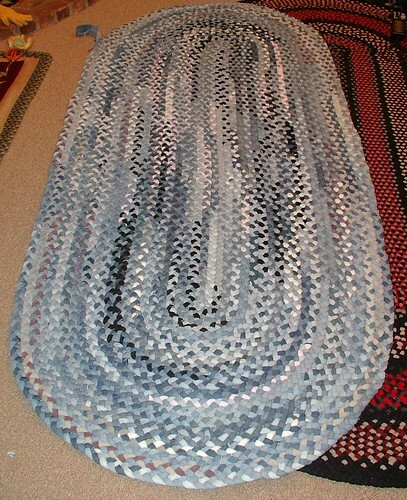 If you can believe it, the edge is made from the scraps from the black granny square blanket from 10 years prior. Yep, things have a hard time making it to the garbage at my house. 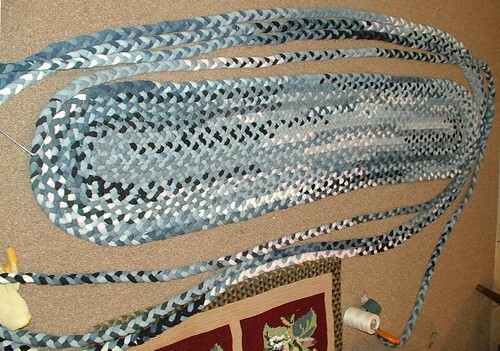 If it usable yarn, it will be saved; even one that is only 2 feet long -- you can make crazy daises with those, and they can be used to make a blanket or used as an embellishment on an item. Another tool from the 30's to 50's. Lastly we have one that took me about two years to make, not because it was hard, it wasn't. It was that it was a class that I was teaching and every week I had to design a new block for the students to learn. Because it took awhile to create and draft patterns, and I only had to do one a week, that is all I did; one a week. This one is made out of wool. NO two squares are the exact same block; some have similar stitches, but in different configurations. The yarn was a gift. Because I was teaching the class at Heindselman's, they just gave me the wool from left overs from projects that the employees had made as store samples. The bonus was, I got to keep it in the end. I hope you had fun going to the square dance with me; maybe you have a few of your own. Recently, on one of the forums I belong to, a lovely lady lost her fiancé to a bad car accident a short time after her father had a heart attack. 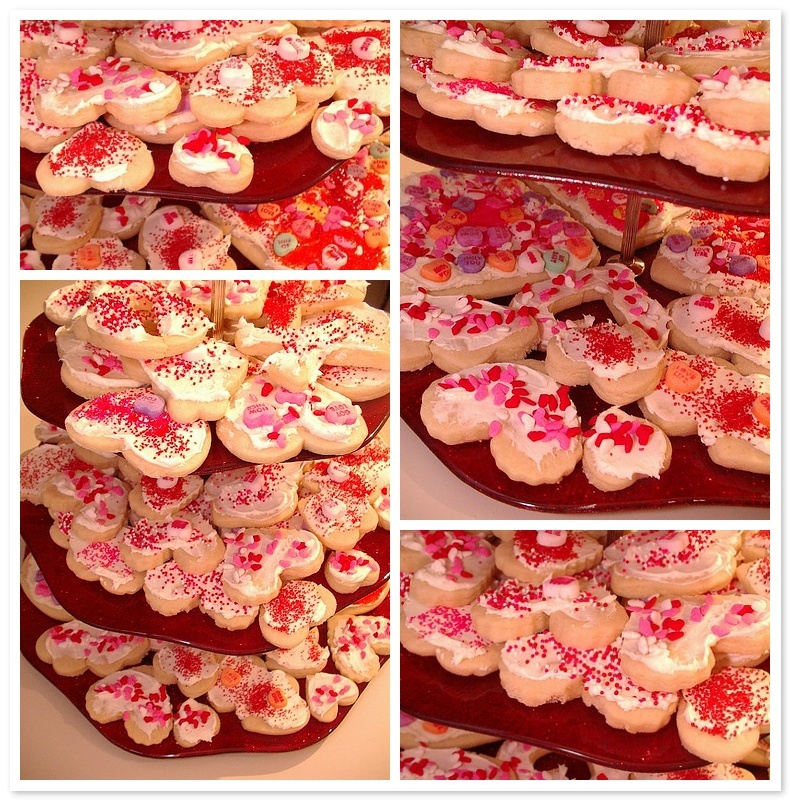 So the ladies on the forum are making circles of love. The above picture shows my two. They will be made into a round table cloth to show we care for her. She is training to be a chef and loves cooking and setting tables, so this will be a reminder that she is not alone. 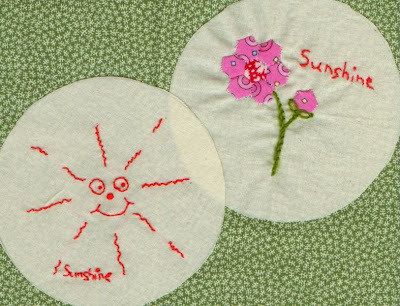 In case you are curious these are the size of a cd and will appliquéd down to a round (circle) tablecloth. Right after my last post my daughter started having problems again. I thought we where done with this. It was upsetting to find out the doctors gave us the wrong test results. She doesn't have appendicitis, but they are looking at four other things that could be wrong and we need another CAT scan. I am in a few swaps, and I needed to come up with a lot of items. So this is what I decided I am making for them today. 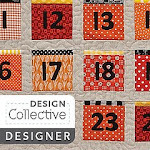 There is a tutorial on how to make these at JuJu loves Polka Dots . They are made out of a stuffed yo-yos. I think they are very, very cute. I under stuffed the first one I made (see the little tiny blue one on the right in the bottom photo). I did much better on the rest. While you are thinking of things to make, check out this and this. 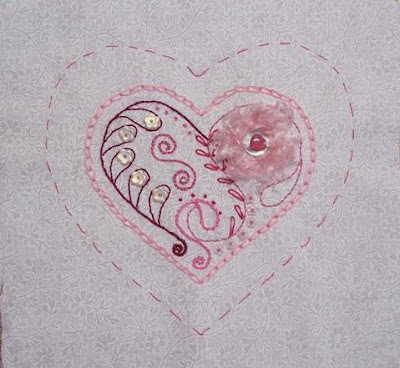 On Penny's blog there is a tutorial/pattern for a heart shaped yo-yo pattern. If you make three hearts out of green fabric, you can make a 3 leaf cover. I used blue thread so everyone could see it for photos normally I would have used green. Make cord for stem. You could also use I cord or a piece of ribbon. Stitch hearts together about 1 to 1 1/2 inches up from bottom point and stitch back to point and do next heart; repeat step all the way around till 3 hearts are joined. Attach cord making sure not to twist the end of it. Stitch sides of cord together. Near the end, to form curve, stitch once on one side then the other then back in the same hole as the first stitch do this 3 times sort of a gathering stitch. Attach pin to back of shamrock and wear on St. Patrick's Day. Next time I am only going to use one button right in the middle instead on one on each leaf. I think it will look better. I also made a garland using these same hearts for St. Patrick's day. I have a group on flickr about people who like to make yo-yos and and make things with yo-yos. The fabric type not the toy type you are welcome to join. 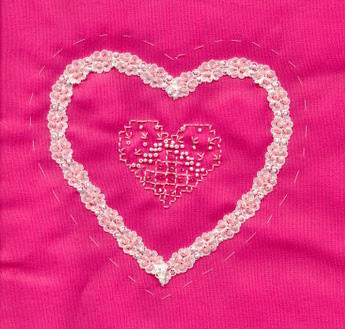 If you remember, a while back I made two Russian needle punch hearts for a Valentine's Day heart swap. I just got my two in the mail today. The bright pink one to the left is from Donna Deen. The white one with pink embroidery is from Melissa, the person in charge of the swap. I wonder if the swap went straight across or if people didn't get the person they swapped with. I never thought to ask. I wonder who got mine. The two hearts I got work together well. I don't think I am going to do anything with them for awhile; I may end up in more swaps and get more hearts. If so, then I can make a small Holiday wall picture out of them. 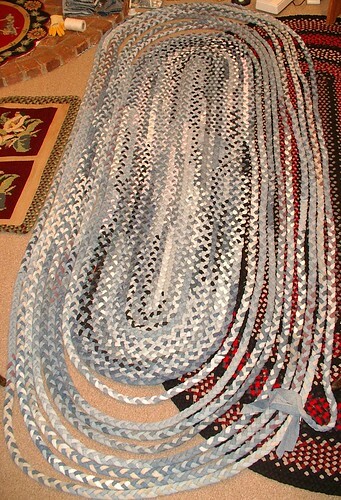 Well, I have braided every scrap of denim in the house, all that we had worn out, that is. This gives you an idea of the size of the rug and the look of it. If you look you can see a yellow size small womans glove in the top left of the photo for a size reference.I did all this last bit of braiding in the last two days. I hope to get the rug all stitched today and call it good. 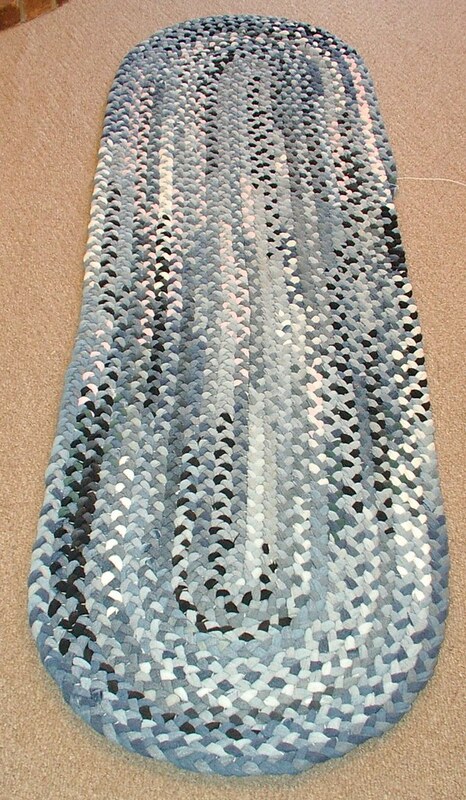 This is one of the fastest rugs I have made and trust me, my hands feel the burn from doing so much work with a fiber that doesn't want to play nice. It is a little hard on the hands to braid, but the real hard part is stitching the braids together. Last night when I went to bed my hands had swollen some. They are ok right now and ready for more punishment. I have truly done a whiplash to my hands on this one.